The evergreen healthcare industry welcomes both men and women for doing different types of jobs. If you are a woman interested in getting employed in healthcare, you have a wide range of options to choose from. In fact, the medical or the healthcare field offers women some of the best paying jobs. Many women think that medical jobs are limited to doctors and nurses. If you have a strong passion for helping patients live a healthier life and working with any group, healthcare is just the right place to be. Given below are five different jobs that you can occupy in the medical or healthcare field and earn a high salary. The job of a nurse doesn’t only earn you a good salary, but it also brings you lots of satisfaction and request. Also, there are many different types, categories and specialties in nursing. You can choose to work as a registered nurse, practical nurse, vocational nurse or a nurse practitioner. It’s not just hospitals where nurses are employed. Nurses have ample job opportunities at rehabilitation centers, physician offices, nursing facilities etc. Depending on the type of nurse you want to become, you can go for the right degree and licensing requirements. If you want to work as a registered nurse, a bachelor’s degree is required. As a registered nurse, you can expect to earn up to $80,000 annually or more. 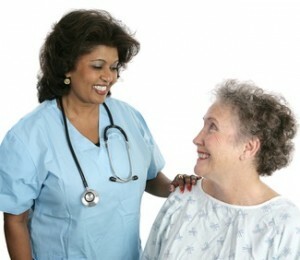 One of the best jobs for women in healthcare is that of home health aide. Most women prefer to get employed as home health aide because this career allows them a lot of flexibility. While working as a home health aide, you’ll be responsible for looking after patients and elderly in their homes. You can also find work in medical facilities. Over the next five years, jobs in this occupation will grow at an alarming rate. Home health aides earn around $30,000 annually. Though this job may not be the best in terms of income, it’s definitely a preferred choice for women who want to make some part-time while taking care of their own families as well. Over the past couple of years, the medical field of physical therapy has witnessed sort of a boom. More and more women are lured to pursue this healthcare career and start working as physical therapists. The main job responsibility of a physical therapist is to treat general injuries and help patients improve their mobility. If you have some experience, you’ll find plenty of employment opportunities at hospitals, rehabilitation centers and nursing facilities. On an average, a physical therapist earns around $73000 annually. With more education, experience and skills, you can earn a lot more. There are plenty of women working as dental hygienists as well. Many people confuse the job of a dentist with that of dental hygienists. To become a dentist, you’ll need to go for long-term study. The education of a dentist may take around eight years of college to complete. To become a dental hygienist, on the other hand, you’ll need to study dental hygiene for which short-term courses and programs are available. The main responsibility of a dental hygienist is to help patients achieve best oral health. Apart from working on their own dental hygienists may also work as part of a bigger dental team. The average annual salary of these medical professionals is around $68,000. You can earn even more. Yet another job that women interested in joining healthcare may choose is that of a pharmacist. While working as a pharmacist, you’ll be responsible for serving medical prescriptions, dispensing medications, keep records of patients’ medicine and offer patients useful guidance. The job of a pharmacist is one of the best paid in the healthcare industry. The average annual salary of these medical professionals is around $100,000. Many experienced pharmacists earn around $180,000 annually. Are you interested in joining the healthcare industry? What’s your favorite position among the ones mentioned above? Please comment. This entry was posted in Job Search and tagged healthcare, women on September 9, 2013 by Carl Mueller. helped me out much. I’m hoping to present one thing back and help others like you aided me.